Yimin is committed to embedding strategic thinking into social development to advance both economic development and economic sustainability. He is passionate about military history, writing, soccer and travelling. Born in a small town in Inner Mongolia remote from a metropolis like Beijing or Shanghai, Yimin’s childhood was different from that of most of his peers. He did not witness the impressive changes that most coastal regions of China underwent in the 1980s, but experienced poverty and isolation until he left home and entered university. His time at Peking University presented both challenges and opportunities. In the first days he confronted unexpected barriers including the difficulties of adapting to the lifestyle of a big city and the challenge of acquiring the modern technical skills of his peers. Yimin’s experience of the regional differences within his country influenced him to pursue several different internships including consultancy, which gave him the opportunity to travel nationally, and finance, which provided him with the key to understanding the domestic economy. Overcoming the initial challenges of Peking University, Yimin was elected President of his Graduate Student Union, School of International studies and, in light of his experiences, led that organization in efforts to provide assistance to the students from the less developed regions of the PRC. He successfully completed his undergraduate studies with Bachelors degrees in International Studies and in Economics. He continued on the path of international affairs and obtained a Master’s in the Science of Diplomacy, and subsequently pursued a Ph.D. in the Science of Diplomacy at the School of International Studies; his primary focus is Sino-US relations and the development of foreign policy. 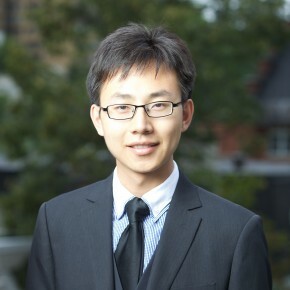 As a PhD candidate, Yimin has been a graduate trainee in the Center for International Strategy Study of the university and is a special contributor for world affairs and world news journals, which have published several of his reports and commentaries. His excellent academic record has earned him a number of scholarships, including two National Scholarships and one each from the China National Petroleum Company and the Guanghua Education Foundation. Yimin’s diversified experiences in the business and banking world have given him in-depth understanding of various industries, a broad perspective and considerable insight into the China of today. One unforgettable experience was his selection as Liaison Officer Assistant in the Department of International Relations and Services of the 2008 Beijing Olympiad Organizational Committee. Yimin conducted an in-depth study on the controversies around the Keystone XL Pipeline and explored the implications of the rejection of that project for Canada’s future energy policy. Yimin employed the methodology of comparative politics, introducing the major elements of energy strategies from Canada’s peer countries in an effort to provide recommendations for a renewed Canadian energy framework. His research culminated in the report “Where Canada Should Go after the Keystone XL Pipeline ?”, which provides a unique perspective on Oil Sands exploitation in Canada. The thrust of his argument is that sustainability and a better future require smart, strategic management and long-term planning. Can U.S. Really Accept an African American President? Why Obama turns a hard stance against China?